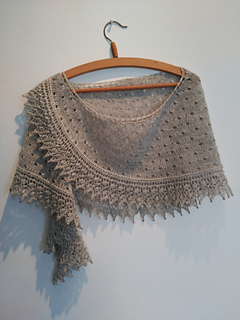 A crescent shawl knitted from the neck down and embelished with glass beads. 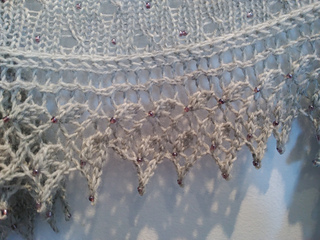 Its boud off using a traditional lace edging embelished with beads that will add drape and shine to the final piece. Two videos has been added to the pattern to explain how to cast on and how to work with beads. 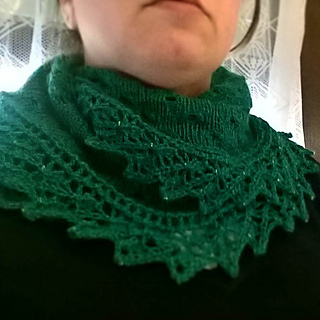 You will need around 400m of sock yarn and 2 - 3mm glass beads. 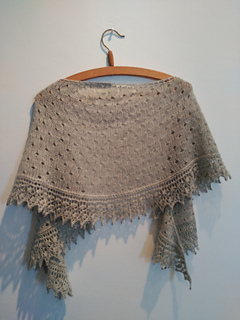 You can easily change the size of the shawl just by knitting more pattern repeats for the body of the shawl. 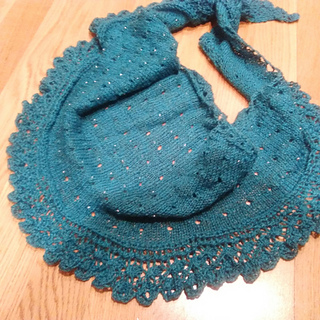 Yo´ll need around 60% oy your yarn for the body and 40% for the edging. 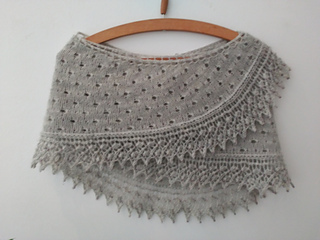 Charts and written instructions are provided for the lace edging. Este chal semicircular se teje empezando por el cuello. El diseño del cuerpo del chal está tejido con un diseño calado muy simple y abalorios insertados a intervalos regulares. Se cierra con un borde aplicado a la orilla del chal al que incorporaremos abalorios que le darán brillo y caída. 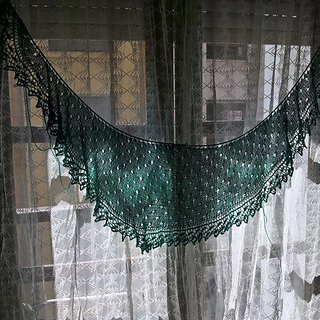 Para tejer este chal necesitas unos 400m de lana para calcetines y abalorios de unos 2 - 3mm. Puedes cambiar el tamaño final de la pieza simplemente añadiendo más vueltas al cuerpo del chal. El porcentaje de hilo utilizado es de 60% para el cuerpo y 40% para el borde aproximadamente. El patrón incluye gráficos e instrucciones escritas para el borde calado.